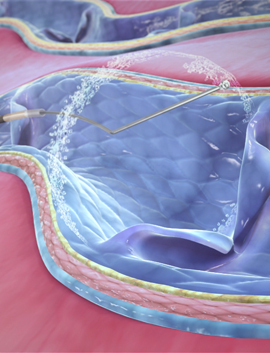 Uses a spinning wire whilst a chemical is injected at the same time to treat the vein. Importantly this does not need the vein to be bathed in tumescent anaesthesia. Therefore the only local anaesthetic injection you need is for the initial puncture of the skin.